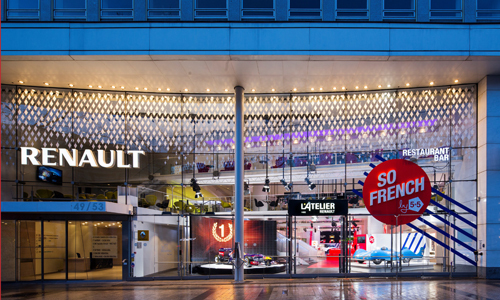 Since February 1, L’Atelier Renault has been decked out in red, white and blue by the 5.5 design studio, known for its extensive collaborative work with manufacturers. 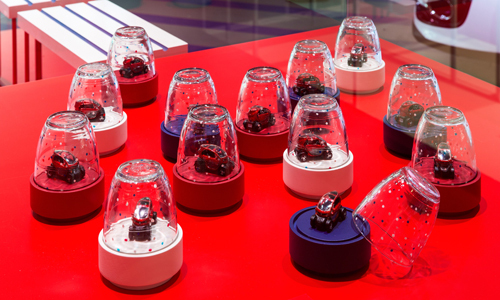 For Renault, 5.5 has revisited iconic French objects with a decidedly automotive focus. 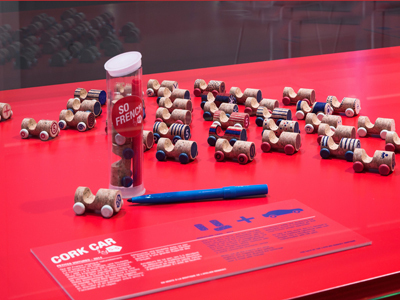 Visitors are treated to original pieces including “carentaises” and “vroum pétanques”. 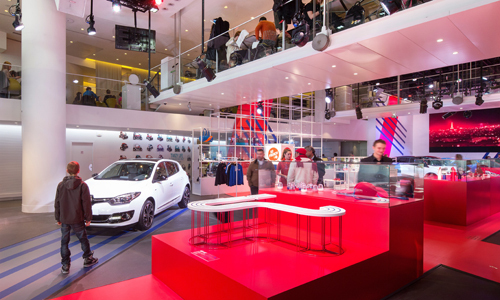 L’Atelier Renault, the Renault brand showcase, will be bearing the colors of the French flag through June 15. For the “So French” show, the designers at 5.5 have reinterpreted a number of objects that are firmly anchored in the country’s collective memory. 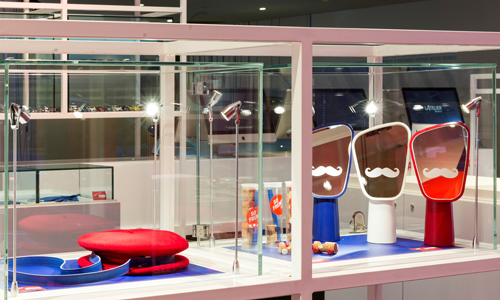 From the beret to the blue-and-white marinière sailor top, iconic objects defining French identity are restaged with intelligence and authenticity, but also with a generous dose of humor. Take a look at them on the blog. 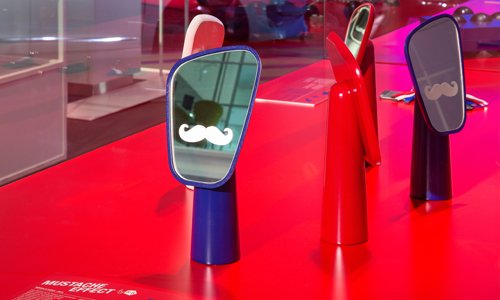 In the “So French” show, traditional know-how meets design expertise to give rise to a collection of amusing objects that each in its own fashion pays homage to French creativity – and to Renault, inseparable from the idea of French “savoir-faire”. 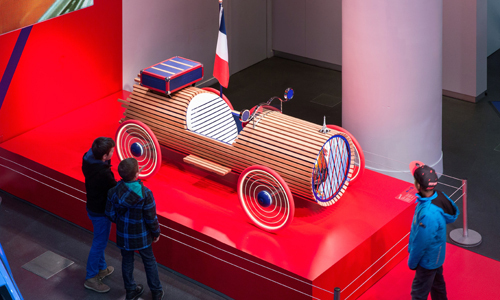 The exhibition reminds young and less young visitors that the Renault adventure began in France at the bottom of Louis Renault’s garden just outside Paris. 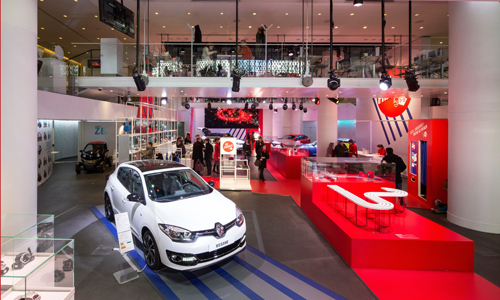 The “So French” exhibition is currently showing at L’Atelier Renault at 53 Avenue des Champs-Elysées.